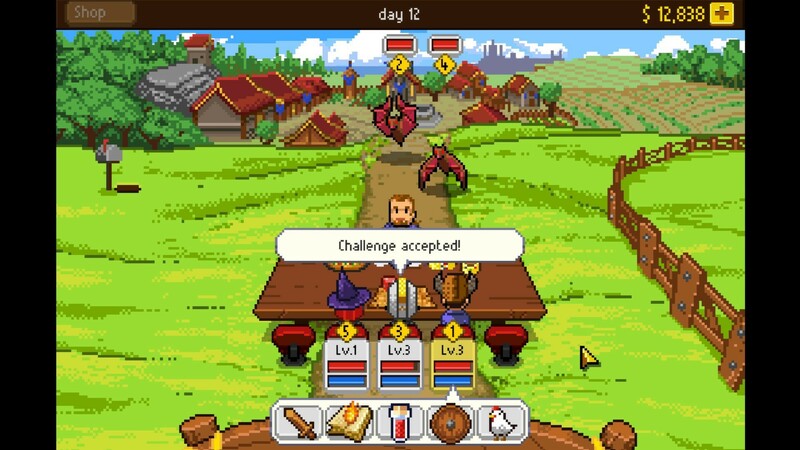 November 27, 2015 June 26, 2015 Laura M.
In Knights of Pen and Paper you play the role of… well, players who take on the role of characters, who take part in a pen-and-paper RPG. If you ever played good old pen and paper RPGs, then you’ll probably love the game and the things it will remind you of. Fights are turn based, everyone can gain experience and level up, you have props and aids to up stats, and more people can join your party as you progress through the game. There isn’t really much of a story aside from that, other than advancing and taking on quests… yet that doesn’t seem to be a problem in this game. Like with Evoland, my enjoyment of “Knights… ” is based more on the fact that it reminds me of “good old times” as much as on the type of humor the game uses through it. The way the characters talk really makes you feel like you’re there playing with friends (or at least, like your character is there, playing with his or her friends). There’s also plenty of pop culture references throughout, which makes my geeky side smile whenever I come across them. Unlike Evoland, however, this one is a longish, drawn out game in which you have to grind your levels up in order to advance, which is always on the lesser side of ‘fun’ for me as it becomes repetitive and tiresome after a while. Despite this, it’s a game I quite love. I’ve found myself playing it both, for a couple hours straight, as well as just picking it up when I have nothing better to do or have to waste a few minutes, to do a small fight or side quest. The fact that you can save whenever you want makes this particularly easy, ensuring you can grab it and drop it even on your busiest days. The art and music style are rather nice (if a bit repetitive) – the music fits the pixelated style fairly well, by which I mean it’s 8-bit style of music. The controls are super easy to learn and use. The game is very light and I’m willing to bet plays well in any type of computer, seeing as it works in both my desktop toaster and my netbook. If parody games are your thing, or if you miss pen and paper RPGs, I definitely recommend you give this one a try! Someone pointed out to me that there IS replayability n trying different characters and finishing as fast as possible, but you CAN make the game last and change the characters during the same game, so if you’ve already done that, it’s kind of pointless to re-play it. November 13, 2015 June 26, 2015 Laura M.
Evoland is as much a small parody as it is a game of it’s own. It borrows heavily from other RPG games and classics (such as Final fantasy and Zelda), meaning mostly that it mocks them in that loving parody way. The game story is pretty… simple. Big evil destroying world, you must go and defeat it. Along the way, you evolve… not in power, though you do get to level up. 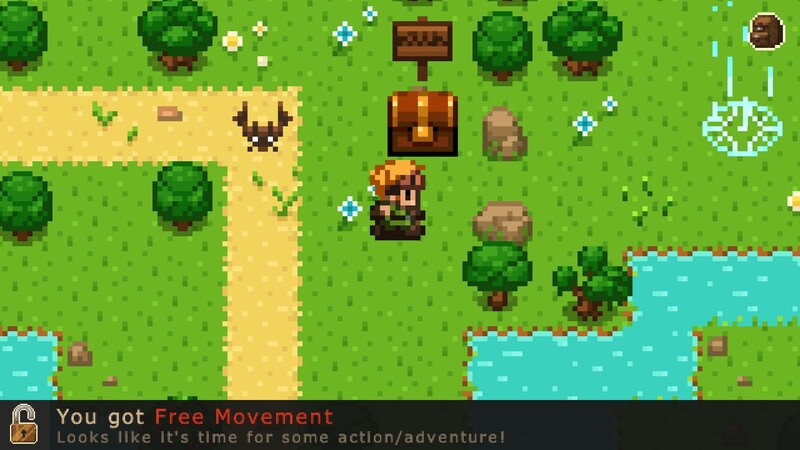 The selling point of Evoland is the “RPG through the ages” bits. You start off as a pixelated character in a plain world with no enemies, and as you find chests, you start earning things. Such as enemies, the ability to level up, town citizens, pixels, and yes, 3D with nothing, then textures, and finally HD definitions. 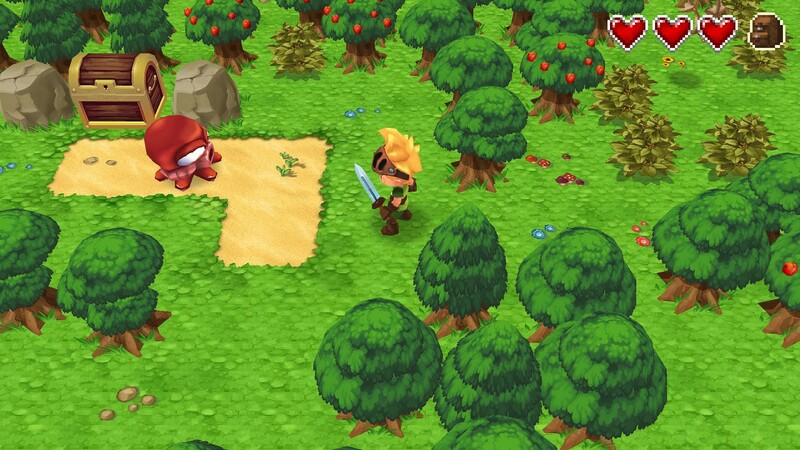 Combat is both action based and turn based; during world map encounters you will have turns, and during dungeons you will be fighting real time. The game also has one card minigame for your enjoyment. While the story is nothing to call home about, the evolving aspect of the game is fun. The graphics, even when you’re just playing your pixel form, are really quite cute and very well done. The world is nice too, although the puzzles/level design/secrets are not really too difficult and everything was far too visible. I don’t think they were meant to be difficult, though. The music I was not a fan of, however, it evolves as you do as well and seems to match the game perfectly, so thumbs up on that. The story is also very short and the replay value is really null unless you want to go back and do 100% achievements (which are also not terribly hard to get, but I frankly couldn’t be bothered to go search for them). The parody aspect also makes it fun if you love these type of games and have a good sense of humor (see quote above and on image below for an idea of the type of humor). Actually, this was the one thing that made me rate it so high – I had great fun discovering all the chests that made the land evolve and gave me things that had funny captions, or talking to townies and seeing what they would say. I do have to say though, the battles do get a bit annoying after a while, and once you’ve unlocked everything and seen all the world has to offer, there’s really little reason to keep playing, too. There’s not much else to say about this game. Did I have fun? Yes! Exploring was fun, fighting was meh (there’s really not much you can do, just attack and heal). I will full on admit I quit halfway through the last boss not so much out of frustration, but because there was really little else to do but beat him. Does it get boring if you take it seriously? Also yes. Don’t even bother grinding your levels, it will not make a difference. Is it worth full price? Don’t think so. Finally, if you like this type of game and get it on sale, it might be a fun little game to spend some time on for a funny, nostalgic ride into the past. Otherwise, I would recommend you pass.